A barber shop needs a lot more than scissors to make money. A professional look, marketing materials, barbers chairs and more are needed to help grow an efficient business in this industry. With the barber shop industry accounting for $1.8 billion dollars in annual revenue, there is a lot of money to be made out there by the 220,000 barbers that are licensed in the United States. Even though other barbers are out there making good money it is hard to get your revenues up without draining your own personal savings. Many barber shop owners have found that small business loans are a great option to help their company grow. With the emergence of Silver Rock Funding, our network of lenders can get you a business loan between $5,000 and $500,000 even if you have bad credit. With getting cash becoming increasingly difficult in today’s business climate, it is nice to know this alternative option is available. One of the most popular forms of financing this money is through a merchant cash advance which allows you to repay your loan with the lender taking back a percentage of your daily credit card receipts. Your dedicated funding manager will work with you to explain all of your options. For most small business loans, merchants usually need to submit at least 6 months of bank statements, 3 months of merchant processing statements and potentially some other materials. Your funding manager at Silver Rock Funding will work with your barber shop to get you the cash you need. This personal and dedicated approach allows you to understand all the elements necessary to get the cash you need. With this fast and easy process you could be approved within 24 hours and the cash could be in your account in 72 hours. 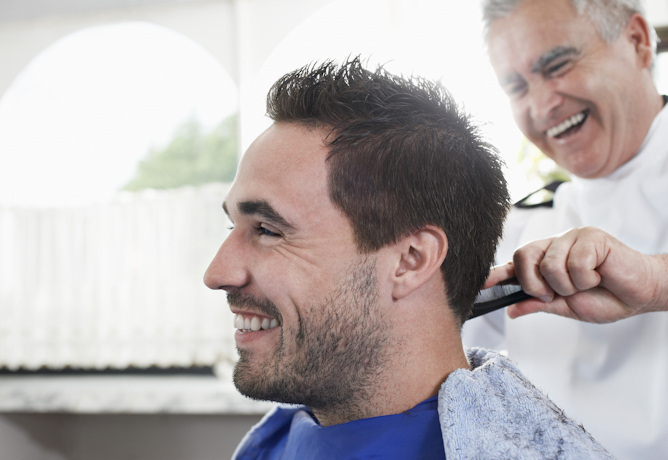 With a small business loan from Silver Rock Funding, you could get the cash you need for your barber shop fast. Get started on your business funding today through Silver Rock Funding. Silver Rock Funding is dedicated to barbershop business loans and recently published an article on this exact industry and detailing how these business can thrive in the current marketplace. Get Started on a Loan Application Today!